The difference between dreams and reality often comes down to timing, and the Grand Opening of our brand new Center Park community on January 17, 2015, combines the right mix of comfort, affordability, and convenient access to some of the best fun under the big Texas sun — for the right price at the right time. 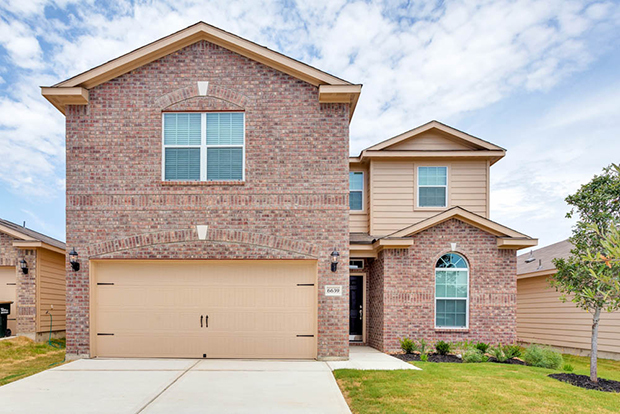 For as little as $709 per month, the quality of LGI Homes’ lineup of Clear Lake area homes in Center Park is sure to fulfill the New Year’s resolutions of many aspiring Houston homeowners — but only for a limited time. The LGI Homes Grand Opening event on January 17th will showcase the best of everything Center Park has to offer and feature one-day-only new home discounts on top of already-unbeatable pricing. This spectacular Grand Opening will illustrate why LGI Homes has earned the reputation of one of the nation’s best homebuilders. Join our knowledgeable consultants in a tour of the spacious new homes that include $10,000 worth of upgrades. Our consultants will also provide an easy-to-understand overview of the step-by-step process to owning your own LGI home. 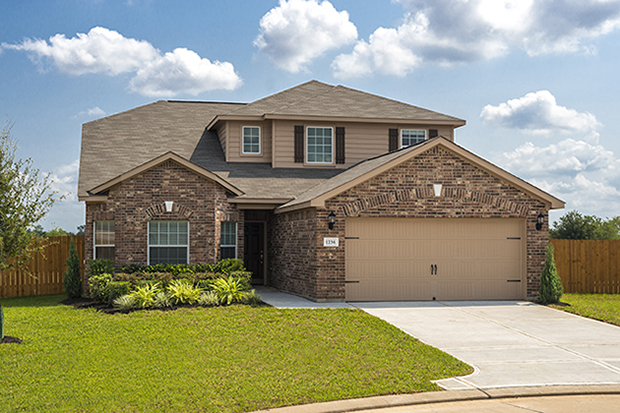 The variety of modern three-, four-, and five-bedroom floor plans and prime Clear Lake area location combine to make Center Park a highly sought-after home destination. Our January 17th Grand Opening is the can’t-miss occasion to get your 2015 started right. The neighborhood’s coveted location owes much to its easy access to Interstate 45 South and its proximity to fine dining, stellar shopping, brilliant beaches, and world-class amenities like Galveston Island, Carver Community Center, and Gulf Greyhound Park. Residents of Center Park will also find fantastic features including front yard landscaping and a home that boasts granite countertops, custom-built cabinets, rounded corners, raised panel doors, and brushed nickel hardware and fixtures. LGI Homes is fast becoming the leader in the market, and our goal is to provide affordable properties to families seeking their dream home. If you’re currently renting or looking forward to the day you can upgrade, attending the LGI Homes Grand Opening event at Center Park could change your life. Not only will we showcase several beautiful new homes and offer them with no money down, but we’ll roll out one-day-only savings and special offers that can make the difference in your budget and unlock the door to an immediate move into your new home. Make finding your dream home the first New Year’s resolution you accomplish in 2015 by exploring the possibilities at Center Park; be one of the first in line on January 17th and see for yourself whether we can get your new year started right. Take a peek at LGIHomes.com/CenterPark and get in touch with an LGI Homes new home consultant by calling (713) 991-1500 ext 1200 today for an appointment; we hope to see you there! Find Your Dream Home at Deerbrook Estates for Just $769 a Month! Finding an affordable home can be a huge undertaking for any family, unless you’re contemplating a move to the northeast Houston area. There you’ll find an array of stunning properties that have just hit the market for as little as $769 per month. LGI Homes will soon be hosting a once-in-a-lifetime Grand Opening on December 20th to celebrate and introduce some of the best and most affordable new home options in our brand new Deerbrook Estates development. This featured Grand Opening will provide you a chance to discover why LGI Homes is regarded as one of the nation’s best homebuilders. 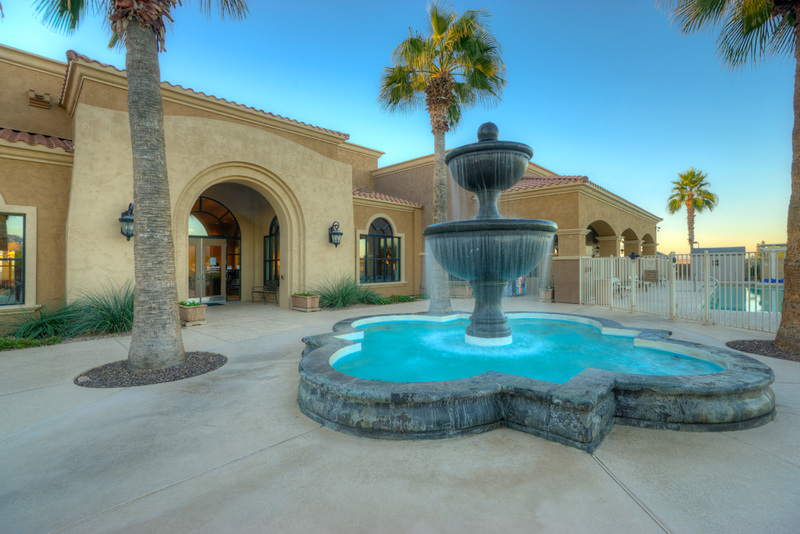 Join our knowledgeable consultants for a customized tour of everything that’s waiting for you at Deerbrook Estates. Our consultants will also provide an easy-to-understand overview of the entire process to owning your own LGI-crafted home. The variety of modern three-, four-, and five-bedroom floor plans and prime Houston location combine to make Deerbrook Estates a highly sought-after home destination and our December 20th Grand Opening a blockbuster event not to be missed. 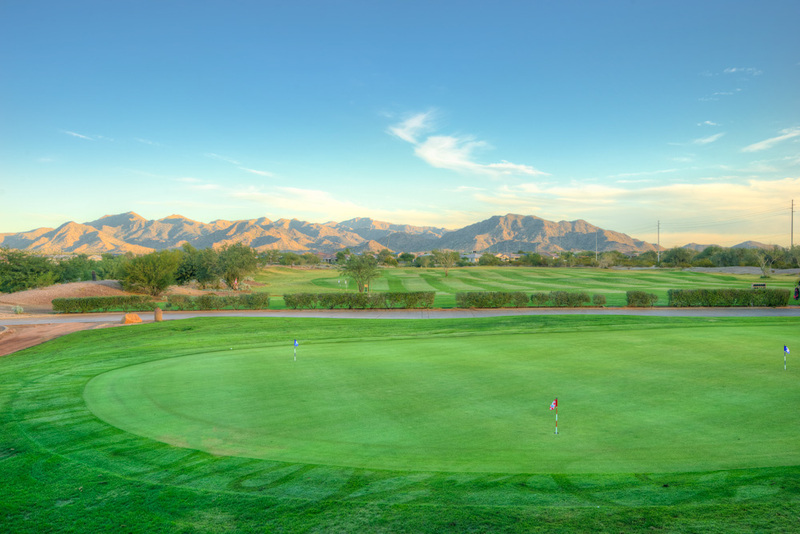 The neighborhood’s coveted location owes much to its close proximity to Highway 59 and world-class amenities, such as Cypresswood Golf Club, Deerbrook Mall, Lake Houston, Jesse H. Jones Park and Reserve, and Bush Intercontinental Airport. Residents of Deerbrook Estates will also find fantastic facilities within the community, including miles of walking trails, a swimming pool specifically for residents, a number of children’s playgrounds, tennis courts, and much more. 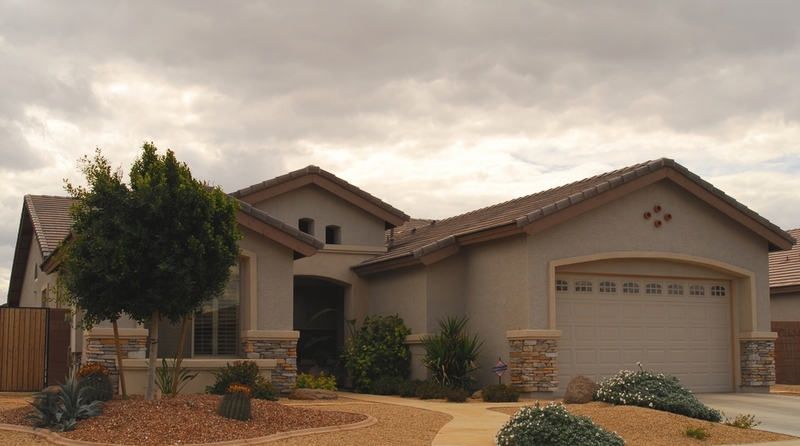 LGI Homes has earned a reputation for being a market leader, and our goal is to provide affordable new home options to families seeking their dream home. Like every LGI Homes neighborhood, the homes at Deerbrook Estates feature thousands of dollars worth of upgrades, including new energy efficient kitchen appliances, raised panel doors, front yard landscaping, and much more. If you’re currently renting or looking forward to the day you can own your own home, attending the LGI Homes Grand Opening event at Deerbrook Estates could change your life. Not only will we showcase several beautiful new homes and offer them with no money down, we will roll out one-day-only savings and special offers like builder-paid closing costs that can make the difference in your budget and unlock the door to an immediate move into your new home. Don’t let the crowds of savvy homebuyers pass you by this holiday season; be one of the first in line at Deerbrook Estates on December 20th and see for yourself whether we can wrap up for you the best gift ever. Take a peek at LGIHomes.com/DeerbrookEstates and get in touch with an LGI Homes New Home Consultant by calling 855-441-6500, ext. 1173, today for an appointment; we hope to see you there! Many people do not realize that the furniture and accessories they choose for their homes tell more about the person they are than almost anything else. From observing these choices, outsiders can learn if a person is somewhat eclectic and creative or if he or she prefers simple, minimally decorated environments, as well as a generally drama-free lifestyle. Some people choose glamorous, high-end pieces to give the impression they are successful and worthy of the admiration of friends and family, while others prefer clean, sophisticated décor to create a truly comfortable retreat. People with highly stressful jobs often crave an intimate space at home where they are able to relax and regroup before putting their nose to the grindstone again. Oftentimes, and usually subconsciously, these people will select yellows and oranges for their living spaces. These colors not only welcome them home but can also quickly make them feel more cheerful, all the while nurturing their emotional wellbeing. 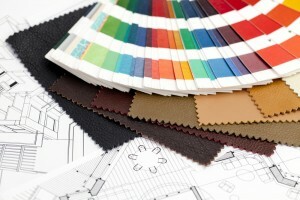 Even though experts say these colors make rooms feel less spacious, they only add to a fuller feeling of intimacy. Another form of solace in the midst of a busy, chaotic world comes through soft pastel hues from pale greens and blues to lavenders and medium blues. These colors reflect tranquility and make any room a restful haven from the pressures of daily life. Because these colors are truly easier for the eyes to bear, they can be instantly calming. Psychologists and other experts believe people who prefer soft blue hues tend to be introverted and prefer spending time alone rather than hanging out in a crowd. Creative extroverts who tend to thrive in highly stimulating environments are often attracted to jewel tones such as amethyst, topaz, ruby, emerald, or sapphire. These sharp, brilliant colors are known to spark interest and inspiration, particularly for the outgoing, artsy types such as artists or writers. Some people choose these colors only for coordinating accessories, and even limited amounts of these pleasurable pops of color still present an element of inspiration. People who are described as practical or responsible are often those whose homes are based in neutral grays, tans, and beiges. These people prefer not only an even-keeled lifestyle but a smart, sensible home environment. They will often select specific brightly-colored objects as accessories rather than splashing their walls with unexpected color. The psychological relationship between colors and the brain is so crucial that advertisers and marketers routinely select colors that elicit desired responses from potential customers. For example, a marketer may choose blues to dominate a commercial designed to make the customer feel their company is the smartest, most trustworthy choice. 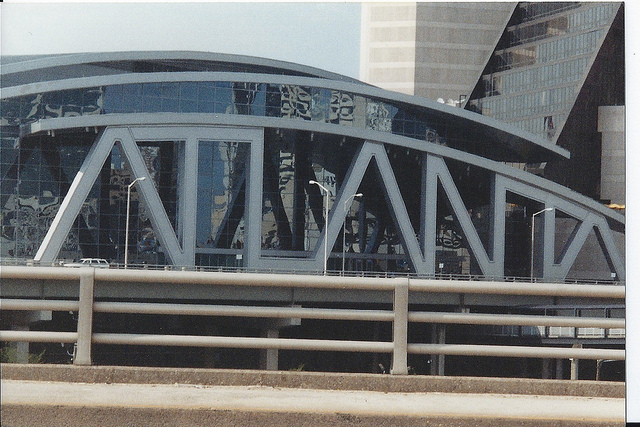 This is why many insurance and health care companies often choose blue hues for the backdrops of their commercials. Remember, the next time you head to the store for a gallon or two of paint or to purchase a new sofa, keep in mind that the colors you select will likely tell the world more about you than you thought you were revealing. One of the most serene, low-maintenance home trends is the backyard fish pond. 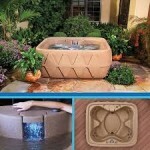 One choice is the Koolscapes 270-gallon pond kit. This pond is inexpensive and fish-friendly, not to mention a perfect way to add a unique touch to your backyard. Many people also choose to add a waterfall to enhance interest in their addition. The sound of trickling water can prove relaxing while lounging in the Adirondack chair on a weekend afternoon. Everyone loves hot tubs, and the nice thing about them is that they can bring relaxation and enjoyment year-round. One exceptional choice is AquaRest’s four-person, 11-jet spa with heater. If the unusual weather of this unexpected winter has brought some annoying aches and pains, this hot tub provides the perfect prescription of hydrotherapy and relaxation. Why not go all out and build a pavilion so you can enjoy the warmth and solace in any weather? If you need a warm-up after drying off from the hot tub, the Heatwave Santa Fe Infrared Three-Person Carbon Sauna is a great choice. This sauna is designed to fit conveniently in a corner area and provides the rejuvenation and healing of dry heat. If the kids have felt cooped up this winter, sports always bring the family together while allowing everyone to work out the stress of the season. 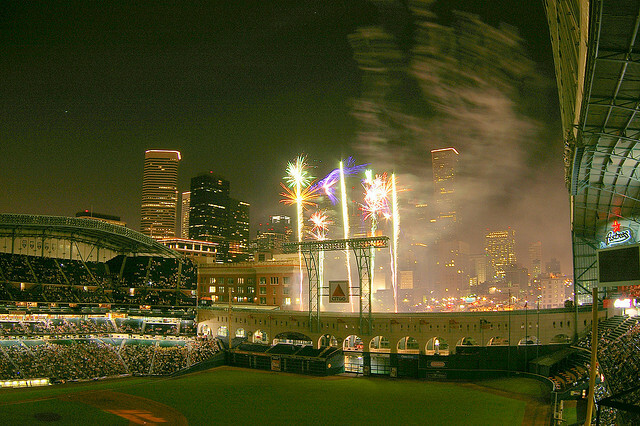 One choice is the all-American game of baseball by way of an at-home batting cage. A perfect choice is the Xtender Batting Cage, available in a variety of sizes. Take turns hitting balls with the family without anyone breaking a window. If soccer or field hockey fits your family’s style better, try out a pair of Franklin Sports Competition Soccer Goals for a game right in your backyard. Run up and down the field with the kids, not only trying to make the next goal but enjoying time well-spent with your favorite people. Other parents prefer to simply watch their children play while they sip a cool drink from the patio. For small children, a fun-filled purchase is the Banzai Ships Ahoy Ship Pool. This pool offers your children hours of endless play aboard their very own pirate ship. The party is on when you set up your own backyard bar and grill this spring or summer. 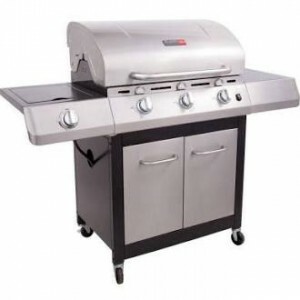 Grill up your favorite steaks, chicken, or ribs on a Char-Broil Red Three-Burner Gas Infrared Grill if you prefer gas grilling or the Chargriller 1224 Smokin’ Pro Charcoal Grill and Smoker if you prefer charcoal. For those who prefer pizza over a meat entrée, there’s the Rustic Natural Cedar Furniture Plain-Front Wood-Fired Oven, which boasts the ability to bake up your favorite pizza in two minutes right in your own backyard! Then serve up your grub and favorite drinks on the Atlantic Monza Five-Piece Rectangle High Patio Dining Set. Hopefully, this list has helped inspire an even longer wish list for your home and backyard this spring and summer. Whatever purchase choices you make, be sure to settle on ones that will not only create fun and add interest to your home but also enhance the time you spend. After the dingy, dreary days of winter, it’s time to put some pop and pizazz in your home! What better way to add some flare than to experiment with colors and patterns? Cool citrus tones wake up any home after the hibernation of winter. Swap your earth tone pillows for a pair of Rizzy Home 18-inch-by-18-inch green and yellow woven pillows. They are fun and add much-needed brightness to any room. Plus, they come at a low cost; simply swap them with your old ones, if you desire, to ease into brighter, potentially unfamiliar territory. Spring nights can be a bit nippy, so drape a green and ivory Taryn throw over your sofa or favorite chair for easy grabbing in a pinch. While you’re warming up on a chilly night, you will update your room décor with the soft, cool shades of spring. Pop some small green leaves in an Orange Nugget Bud Vase and drink up the juicy results. 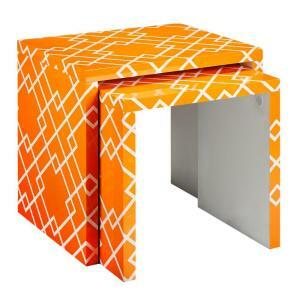 For a larger impact and to mix sunny orange with a fun pattern, switch out a pair of side tables for the Home Decorators Collection Loft Orange Patterned Nesting Tables. Complement those with a white lamp to fully maximize the punch potential. This Ripley White Table Lamp is a funky, fashionable choice. This spring, some fun textures are hot and trending. Two of the most exciting are fringe and feathers. For a warm, solid rug with funky leather fringes, look no further than the Brown Leather Shag Rug from World Market. This rug is available in different sizes and provides the perfect floor cover for any room. 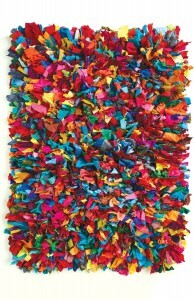 An even funkier, festive option is the Confetti Shag Rug from Sky Iris. This rug is a 4-foot-by-6-foot rainbow of color, ready and waiting to bring light to any dark room in need of some spring punch. Invite a majestic, picturesque peacock to take up residence with the Allstate 22-inch Regal Peacock Open-Tailed Natural Feather Peacock Figurine. This vibrant bird adds not only a pop of blissful blue but the fascinating texture of feathers. A somewhat bolder, unique option is the Lumisource Feather Audubon Floor Lamp, bringing bold, stark white into your home while keeping with this funky trend. Some designers are suggesting a black-and-white color scheme for spring, and this lamp is a fun way to play with that idea. If you are hesitant to bring actual feathers into your decorating scheme, bring in a few feathered friends instead. One option is a Feathered Friends Stained Glass panel from Signals Catalog, which allows you to combine the fun and beauty of spring birds into your home without any hassles. Hang this in your window and enjoy the kaleidoscope of colors reflecting in the spring sunshine. Another feathered choice is the Toscano Peacock Feathers Stained Glass Lamp. This Tiffany-style lamp lights up any room with a masterpiece of peacock feather design. eometric patterns punch through all decorating barriers, adding interest and depth to any room in your home. 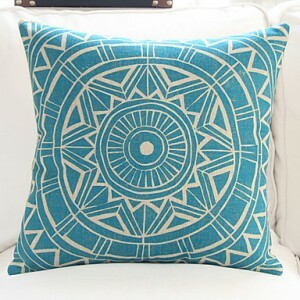 Cover a pair of throw pillows you already have with an 18-inch Exotic Geometric Pattern Cotton/Linen Decorative Pillow Cover, available in a wide variety of colors. This is an inexpensive option from Light in the Box and is a perfect way to test the waters of this trend. If you are ready to take the plunge with a bolder statement, consider the Homelegance Lifestyle Armless Lounge Chair with a blue geometric pattern. This chair, or a pair of these chairs, announces to the world that you are not only ready for a classy, elegant spring but ready to try something totally different. No matter what color palette or design scheme you choose this spring, make sure you have fun giving your home design a new birth. After all, that is what spring is all about!